I could not go myself today to the local war memorial for the two minutes silence, young children do not understand such things and I could not have relied on them to stay quiet. Instead I watched the ceremonies at the Cenotaph on television. Of the bombastic nationalism that some say surrounds Remembrance day nowadays, there was no sign. Instead the German president laid his wreath next to that of the other assembled dignitaries of a dozen other countries of the Commonwealth under the eyes of the Queen and the assembled veterans. 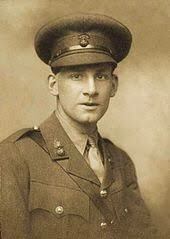 Today marks the final significant anniversary of the First World War in which there are still people alive who remember the conflict, albeit as children. It demonstrates the process by which that war (and all other events of more than 100 years ago) stops being a lived event and starts being part of a history that people know only from books and television programs. It is common now to say that, with the passing of the war generation, and without their reservoir of experience and their guidance, we will make the same mistakes that they made. Indeed France's President Macron said as much at today's ceremony in Paris. I am not so sure this is the case, instead we seem to be inventing a whole new set of new mistakes which the war-generation's wisdom might have advised us against based on lived experience, but the mere knowledge of the historical record of their times does not immunise us against. Brexit is one of these mistakes, Trump another. And of course, at it's most basic, today's ceremonies reminds us that nothing lasts for ever, not even the conflict that Lloyd George called "the most terrible war that has ever scourged mankind", and that everything eventually passes. 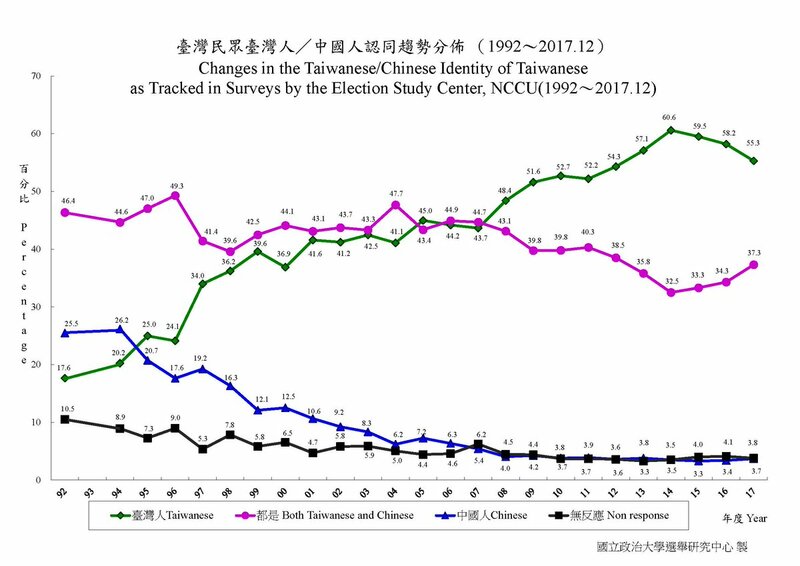 Any follower of Taiwanese affairs will be familiar with the decline of the Chinese-only identity in Taiwan since the democratic era began. 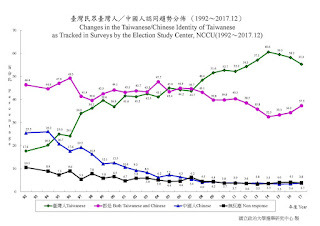 Whilst possibly it was a minority position even long before this survey began, it fell rapidly during the first decade of Taiwanese democracy until it became the position of only a few percent of the population. At the same time both an exclusively Taiwanese and a mixed Taiwanese and Chinese identity began to be steadily adopted in Taiwan. Until recently the receive wisdom amongst at least part of the expat comentariat was that this mixed position was just a way-station on the road to becoming exclusively Taiwanese, and this found proof in the declining number of people identifying as mixed. However, as the graph shows, this trend has partially reversed over the last four years. What could explain this? One guess is that increased exposure to mainlanders in Taiwan following the influx of tourists has changed some minds there. My own personal feeling was that, culturally speaking if perhaps not politically speaking, Taiwanese and mainland Chinese were only as different as (depending on how you want to look at it) English and Scottish people, or the people of the UK and the Republic of Ireland, and that increased exposure might highlight these similarities. Whether there is any truth to this is impossible to say without more data. What there is data to show is that, as Templeman points out, concurrent with the above-described trend, pro-independence sentiment has fallen back a bit, and that pro-pan-green support has also seen a bit of a dip, with both these trends becoming apparent after the DPP's electoral win in 2016. I suppose it is inevitable that the hopes of DPP supporters during the Ma Yingjiu years might take a bit of a knock once the reality of an actual DPP government came about, but I am slightly doubtful that this could be the cause of a change in something so fundamental as how people see their own national identity. There may also be a growing realisation that few of the problems that face Taiwan are actually solved by Taiwanese independence or the development of an exclusively Taiwanese identity. "Bringing the presidency’s institutional mechanics in line with the office of party general secretary, and for them to be occupied by the same person, will create a more efficient and coherent governing structure and more transparency and predictability in China’s dealings with the world. It lifts the veil of pretense that, somehow, the party and state governance are not one, which is untrue and wholly unnecessary and counterproductive at this stage of China’s development. It signals the maturing of the Chinese political system that shows the world clearly how decisions are made and who is in charge." "...the party self-corrects in rather dramatic fashions. Institutionally new rules get enacted to correct previous dysfunctions. For example, term limits. Political leaders used to retain their positions for life, and they used that to accumulate power and perpetuate their rules. Mao was the father of modern China, and yet his prolonged rule led to disastrous mistakes. So the party instituted term limits with mandatory retirement age of 68 to 70." So term limits were apparently necessary rules needed to correct a dysfunction in 2013 but now their elimination is a sign of the maturing of the Chinese political system? Li seems to seek to solve this conundrum by fixing on the idea that there is still a retirement age that will limit Xi's rule so he will not rule for life. The problem is that (as Li clearly knows) there is no such actual mandatory retirement age for president, merely ages at which it is customary to retire. Xi will have no more problem in breaking these customary norms than he has in breaking any of the other norms of Chinese governance that have stood in his way. The road is therefore open for him to rule for life if he wishes. The history of the Sino-Vietnamese conflict that broke out in February 1979 is one of the most neglected parts of modern Chinese history. As such Prof. Xiaoming Zhang's book on the conflict is a very necessary contribution to the field, it being one of the few books - possibly the only book in English at least - to analyse the conflict using sources other than contemporary news reports, and to cover the ten-year period of extended conflict after the 1979 invasion in any detail. - Whilst Vietnam's invasion of Cambodia was a major cause of the war, the idea that China was being surrounded by the Soviet Union, and that war with the USSR was imminent (as Zhang explains, Deng Xiaoping believed that war would likely break out in 1985), was another cause of the war. This has implications for future US-Vietnamese relations, especially if the PRC leadership believes that it makes an attack on Vietnam necessary to demonstrate the inability of Vietnam's allies to protect it. - In any future conflict, at least any launched by choice by the PRC leadership, a period of so-called "political mobilisation" is likely to precede any action. 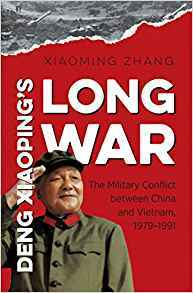 Zhang's book explains in detail the efforts that were put into convincing PLA soldiers and the population at large of the necessity of the "Self-defence counter-attack", an attack where the element of surprise was obviously important. This "political mobilisation" seems to have had an effect, given the suicidal nature in which attacks were carried out at times during the conflcit. Whether this might hold true for an attack on Taiwan, when the populace is already indoctrinated to a great degree about the necessity of "Liberating Taiwan" is an open question. - Whilst the war is almost never mentioned in Chinese media (Zhang even mention allegations of a secret deal between the PRC and Vietnamese leadership not to mention the war) Sino-Vietnamese war veterans have been favoured in promotions to the senior leadership of the PLA. Whilst the war is not mentioned, the people who took part in it are far from shunned. My main criticism of this book is that it sorely lacks a chapter on the Cambodian aspect of the conflict. It is possible that I have missed it, but Vietnam's motives for invading Cambodia are not described in the book as far as I am aware, nor are the reasons for the PRC's support of the Khmer Rouge regime before the Vietnamese invasion. A description of the course of Vietnam's invasion, and of the campaigns fought against guerrillas by the Vietnamese army would have greatly helped the reader's understanding of why Vietnam was eventually willing to withdraw from Cambodia and make a rapprochement with the PRC. This is particular when, as Zhang points out, Vietnam's "real problem lay in Cambodia", not so much in the ongoing conflict on the Chinese border. Of course, as Zhang often points out, the Vietnamese archives are not open to academic study, so the material on which a description of the Cambodian conflict might be based is thin. This also applies to the criticism in some reviews of this book of it being overly Sino-centric - ultimately the Vietnamese side of the story is untold as the Vietnamese archives are not available. There's a lot to criticise about the One Belt One Road (AKA BRI) initiative. Particularly concerning is the way in which countries like Laos are apparently being saddled with large sums of debt for the construction of projects, largely by Chinese companies using Chinese resources, which will not benefit the country in a way proportionate to the cost of them. AidData's research has shown when Chinese funding is similar to ODA, it boosts economic growth in recipient countries just like Western aid. If a country is on the receiving end of such a Chinese aid project, it will see 0.4 percent average growth two years after the project is committed — a similar rate of growth to aid from the United States and the Organization for Economic Cooperation and Development's (OECD) Development Assistance Committee (and notably higher than aid from the World Bank). Indeed, as the WaPo story points out, if anything the PRC government is guilty of hindering the spread of the good news about this by surrounding aid in secrecy. So much for "internal democracy"
"China has established its own democratic system with Chinese characteristics in its pursuit of national independence and prosperity, and social progress, a fruitful result of its democratic building that has been deeply influenced by the country's historical and cultural traditions and domestic conditions." "Applause rippled through the auditorium as Xi cast his vote, using two hands to place a salmon-coloured ballot into a bright red box at 3.24pm. A further 2,957 ballots were cast in favour of the change while three delegates abstained and two voted against, a small hint of the outrage the move has caused in some liberal circles." This gets even worse when you consider that the single vote against confirming Xi as leader for the next five years in 2013 may well have been his own, cast in an effort to make the vote look more democratic. The two votes against here may have been cast with similar intent. "Internal democracy" should join the other theories about high-level Chinese governance for which there is no actual indisputable on-the-ground-evidence. Xi Jinping: ruler for life. We may be more than a year away from the beginning of Xi Jinping's reign, but it is hard not to see the same crude artlessness in these arrests [i.e., of Ai Weiwei and others] that Xi has betrayed in many of his public pronouncements. I hope I'm wrong, but I cannot rid myself of the idea that Xi's rule is going to be disastrous for both the CCP and China. It is hard not to think that we are seeing the end of the balancing act that the CCP has so successfully conducted these past 32 years, and the beginning of an unashamed totalitarianism which few in the CCP ranks want, even if their new leader apparently does. The relatively subtle touch introduced by Deng in 1979 risks being undone, if not the economic reforms of that year and later. We are now seeing this totalitarianism taking form. The weak and nascent organs of civil society (e.g., civil rights groups like Gongmeng) that managed to grow during the early Hu years have been eliminated or co-opted in a process that began even before Xi officially took power, internal opponents within the CCP have been wiped out by an "anti-corruption" campaign the real purpose of which was the elimination of Xi's opponents within the party, Xi Jinping has been declared a "Core leader" and had his ideology enshrined in every communist party document which matters - essentially he has been declared the equivalent of a red god whilst still being early in his reign. 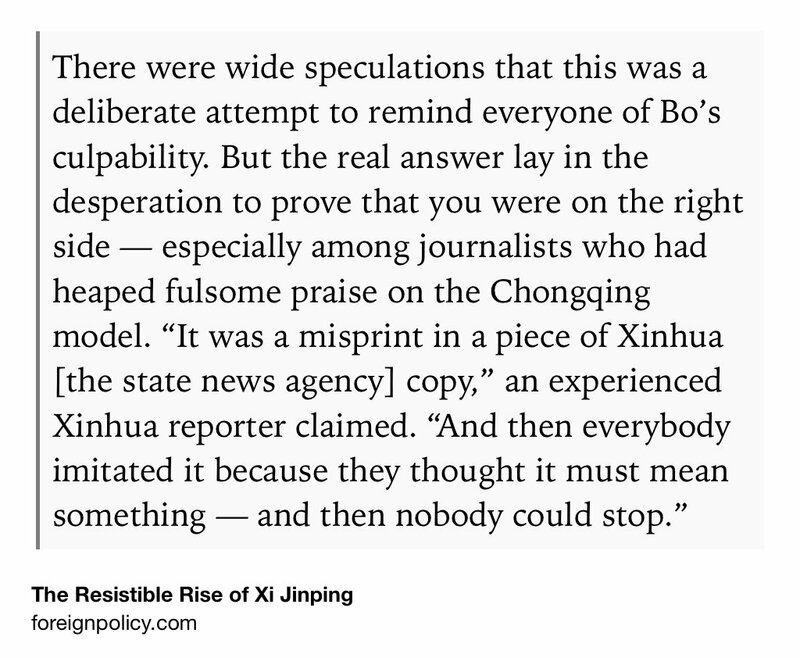 It is now that the failure to implement any real political reforms during the Jiang/Hu years really begins to bite. Deng merely set aside many of the tools of Mao's dictatorship, but they remained for a later generation to pick up and use. Xi has been compared to Putin, which is a very fair comparison, but even Putin has not yet dared to actually amend the Russian constitution to allow himself more than two consecutive terms, preferring instead to use Medvedev as his puppet president for a term. The real question that should be on everyone's mind is: what is it that Xi plans to do with this power? Some leaders would be content merely to continue consolidation of power - gaining power for power's sake - but is Xi one of those leaders, or does he have something else in mind? If instead what Xi wants is to write his name into history, then it is time for people in Taiwan and elsewhere to sit up, take notice, and prepare themselves. It may have been a cold January day here in the UK, but yesterday brought a little more warmth into our corner of the world - 7 lbs and 13 ounces of it to be precise. Right now she's a quiet little girl but I'm sure she'll find her voice and will make herself heard in the world. Richard Burger, ur-China blogger amongst ur-China bloggers (I think only Hemlock of the Big Lychee Blog has been going longer, and he writes mainly about Hong Kong) is finally shuttering his blog after 15 years of writing. I've been reading his blog since at least 2006, and Richard has been kind enough to occasionally host my posts there. It has always been an interesting discussion forum and I'll miss the raucous debates that used to be a regular feature of it. Daniel A. Bell has written a deliciously deluded piece in the Financial Times explaining that, even though China’s leadership appears to be selected through an opaque process of power-games and intrigue, instead it’s a perfect meritocracy. In fact, the reason why the process is so secretive is to protect the hurt feelings of anyone who fails. So we should just accept that a lack of transparency is an inevitable cost of any organisation that aims to select the best candidates. It is true not just of the Chinese Communist party and academia, but also of major investment banks or the Catholic Church. That is not to say we should not hope for more transparency in the Chinese system. … full transparency is unlikely and would be unfair to the “losers”. What’s interesting here is the claim that Daniel Bell does not, any more, seem to be making – that today’s Chinese government is, or should be, “Confucian”, something that he has claimed in the past more than once. This is not surprising as the Confucian-esque language of previous years (e.g., the touting of “Harmony” under Hu/Wen) has been dropped in favour of a governing style much more reminiscent of the Deng Xiaoping era. Bell has been described in the past (I can't find the quote) as writing as if about an alternate, and infinitely preferable reality in which China's rulers are exactly the philosopher-kings that they like to portray themselves as. However, it seems even Bell's reality sometimes conforms to our own, in which, far from being an entirely meritocratic organisation made up of disinterested Confucian scholars, the party is little more than a route to influence and power, the membership of which cannot even be bothered to pay their party dues. Two sections of this frankly-frightening piece on the state of modern British politics in today's Times caught my attention. 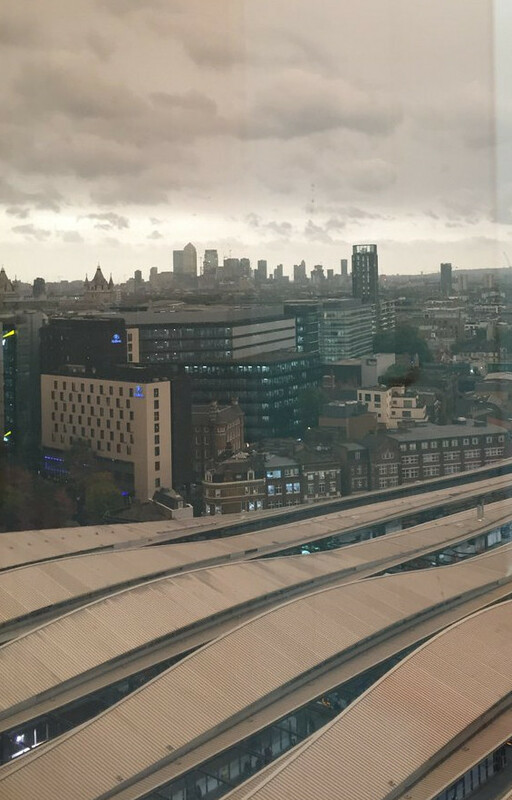 At this point no-one who has been paying attention can possibly be under the illusion that Brexit will lead to immediate prosperity, and most sensible observers cannot see a way that it will likely result in one in the long term either. However to admit out loud that Brexit will be a disaster is anathema in a world where the public have been lied to and still believes the lies they were told. The ministers who are not true believers remain in their posts either out of a sense of duty, or in the blind hope that something will turn up to either prevent Brexit or rescue us from its consequences. Theresa May likely never believed in Brexit, and was probably being honest when she spoke out against it before the referendum. Yet she first embraced it, then saw that it could not be done, and then her gamble in the election brought ruin upon her. She now stays in post even though the support she has within her government comes only from those who see no viable alternative and she herself seems to have no confidence at all in her own leadership. As the piece also points out, the situation on the opposition benches is little different. Many members of Jeremy Corbyn's team are privately in violent disagreement with him and staying in place mainly out of ambition or the hope that one day they will rescue their party from him. We now seem trapped, unable to go back to where we were before the 23rd of June, 2016, and unable to go forward from where we are either. Neither the government nor the opposition has any clear plan of what to do, only who to blame (the government or the EU). Only the public themselves could hope to break this deadlock, but though there are signs of a possible shift in public opinion (let us put it no more strongly than that) it would have to transform into a tidal-wave of protest to prevent the economic disaster predicted by the OECD. Why was Bo Xilai's wife given a Bogu(s) name? I and other observers of China affairs had wondered about this: why was Bo Xilai's wife, Gu Kailai, being called "Bogu Kailai" (or other versions of this), when in China (and in all Chinese-speaking communities that I can think of) the tradition is for the wife not to change her name on marriage. There was speculation that this was due to a desire to link Gu (sentenced to life in prison for the murder of Neil Heywood, an apparent fly-by-night unknown in the expat community) closer to Bo in propaganda to further dirty them both by association. Others asked if this was some new (or revived) tradition, imported perhaps from Taiwan or somewhere else overseas? This explanation makes much more sense: it was a simple typo that was picked up and parroted by others out of fear of missing some condemnatory nuance of the story. From there it was repeated in the foreign press who either knew no better or, again, thought it must mean something or be some new tradition. 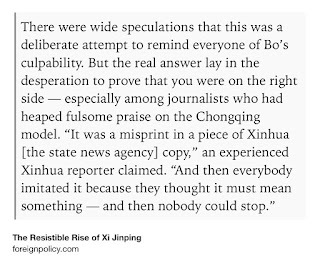 This kind of incident is yet another reminder just how little we know of the inner workings of the CCP, and how much is pure guess-work. Ten years ago today I sat down in my room in the halls at Queen Mary, University of London, where I was then doing my master's, and wrote the first post on this blog. There were a lot of things that inspired me to start blogging, but the biggest of them was Andrew Sullivan's old blog. Sullivan, considered by many to be one of the grandfathers of the blogosphere, made his final post back in 2015, after 15 years of steady posting, day-in, day-out. I'd been a follower since a very good friend of mine first recommended his stream of often-wrong always-interesting commentary to me. The proudest moments that this little blog has had is the moments when I was quoted over at his place, which was happily more than once. Whilst Sullivan's writings could sometimes be mawkish and over-sharing, they were normally well-informed, honest, and even-handed, a style I have done my best to emulate in my own fashion. At the same time, the demise of The Dish, perhaps the biggest single-author-centred blog out there, and the failure of any other blogger to take its place, has caused me to reconsider whether there might be any truth in the claims that blogging (and particularly China blogging) is "dead" or at least "slowly asphyxiating". It's certainly true that the commenting and posting on many China blogs is much less lively than it used to be, but there's still plenty of blogs going strong. Whilst the idea that many people seemed to have in the early years of the last decade of building careers in writing through their blogs mostly seems to have come to nothing, blogging as a past-time and means of communication seems to still be in a reasonably healthy condition. Indeed, during my occasional spates of regular posting in recent years this blog received more visits than at any time in the "golden years" of blogging, including the times when it received links from high-traffic sites like Andrew Sullivan's. Blogging as a way of making a living, though, despite Andrew Sullivan's regular protests that his blog made a healthy profit, seems to have never come to be. It is very clear that, had Sullivan ever made enough money from his blog to hire more staff, he and his co-editors would not have suffered the stress-induced-burnout that eventually brought an end to his career. This, however is not a problem restricted to blogging in particular but one which afflicts the creative industry as a whole - just how do you make a living doing something when so many people are doing it for free? The assertion that Twitter and Facebook are better conduits for communication than blogging is often made. This is true to the extent that Twitter is a great aggregator of links and bon mots and I am a compulsive user of it. Facebook is a very immediate and personal means of communication with friends and family and useful as such. But there is nothing that matches the immediacy of blogging. When, for example, Paul Campos, a law professor in Colorado, wanted to publicise the scandal of US law students going into substantial debt in the expectation of high-paying jobs that the vast majority of them never received he simply set up a blog directed to doing so. The effect his blog had was undeniable. No Twitter account or Facebook page could have had the same effect, because neither allows an audience of people who are otherwise strangers to be assembled so quickly over a single topic. And so I still blog, not simply to speak to people I know or who already agree with me (and may even be curated via an algorithm) but to the world in general. I don't know much about Catalonia. I've never been there and I know only a few people from there, all of whom oppose Catalan independence (and therefore are unlikely to be representative sample). I have, however, lived in Taiwan, a de facto independent state where most people (including the premier) generally prefer the status quo. This position is pragmatic given the threat of war (and not a war which the Taiwanese would launch or could really be blamed for) if de jure independence were declared or even attempted, and given that at this point Taiwanese independence, absent international recognition that will never come, means little except changing the names and flags on government buildings. I personally find this pragmatism quite admirable. In addition no British person can have avoided having experience over the past three years of the extreme political environments that referendums seem to give birth to, and how little seems to actually be decided by them regardless of their result. Simply voting for independence, either from a supra-national body like the EU, or from a country like Spain, achieves little by itself, and changes no-one's mind. Three years on from the referendum on Scottish independence the SNP behave virtually as if it never happened, and the polls locked around the 55%-45% split against independence. More than a year on from the EU referendum the UK is still in the EU with no idea what will come next, nor any sign that opinion has moved on from the virtual 50/50 split on leaving or staying in. The "joyous", "civic" atmosphere that the respective supporters of Scottish independence and Brexit thought they would create through their campaigns proved nothing more than a mirage, instead the reality was unpleasant and at times verged on fanatical. The simple fix to all problems people imagined might come from severing vital relationships and smashing up what has taken generations to build has proved a fantasy. I doubt whether Catalonia will prove any different in this regard. Indeed, even if the advocates of Catalan independence get what they want they will still have the problems that come from the illegality of the means they have chosen to achieve it. An independence referendum followed by a unilateral declaration of independence is nowhere near as bad as invasion followed by annexation, but the isolation of the Crimea following its sham referendum under Russian military occupation shows what happens when something which may have had popular support is achieved illegally. Taiwan shows the virtues of leaving unanswerable question until later, of muddling through as best one can, even if this is often out of there being no other option. People both in Catalonia and in the UK could learn from this.